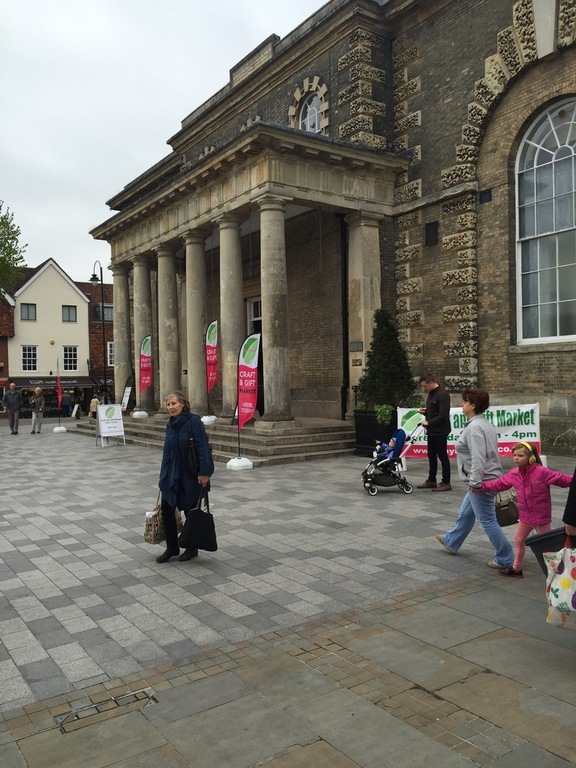 Salisbury Guildhall is our flagship market with regular events each month held on a Saturday. During December we hold events on Tuesdays and Sundays. It is a busy market and for the last 5 years has drawn in the customers really well. That is not to say that there aren't less successful days at Salisbury, because there obviously are, but Salisbury, along with Guildford, is a reliable market. We have many regular stallholders here, many of whom book as soon as places are advertised, so please be aware that early booking will be essential. Footfall at most events are between 1300 and 2500 with rare events bringing in 700/800 per day. Salisbury Guildhall is a picturesque building located right on the central market square in Salisbury. With a busy and bustling market throughout the year. 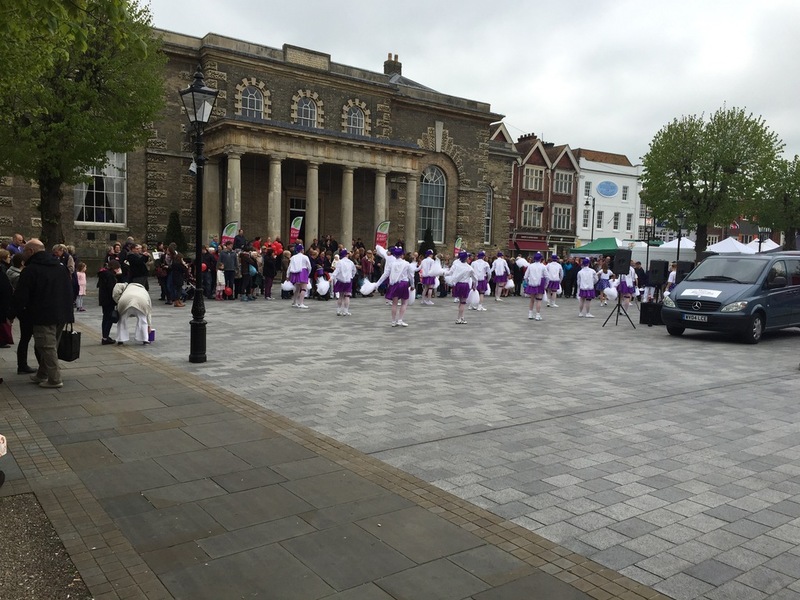 The footfall at this market can be enormous as mentioned above, with thousands of people passing the steps to the Guildhall every market day. Steps lead from the busy market square right up into the splendour of the Guildhall and the banqueting room where the market takes place. There is a lift for customer use which we always point out if needed. Dogs are also allowed into the building so we can add to our customer base even more. 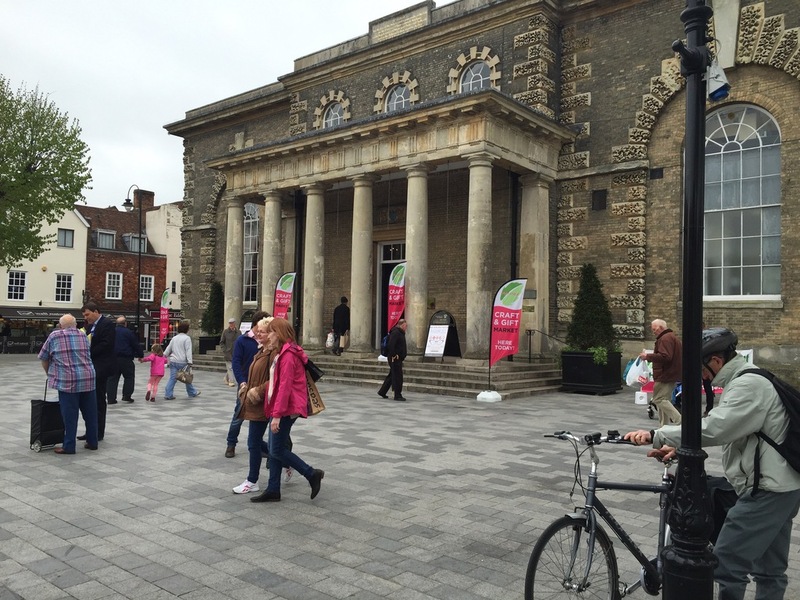 For help finding the venue please visit the 'Finding the Salisbury Guildhall' page by clicking here!